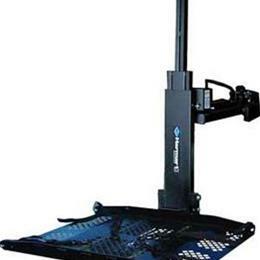 The AL 600 Hybrid Platform Lift is the ultimate user-friendly power chair and scooter lift. One button deploys the platform for drive-on, drive-off simplicity. The remote hand control powers the lift allowing it to secure virtually any scooter or power chair into the back of most SUV's, vans and minivans. Most installations utilize existing third-row seating mounts, requiring no further vehicle modifications. Sparing second-row seating in most applications.